The yarnivore’s first wearable is here! 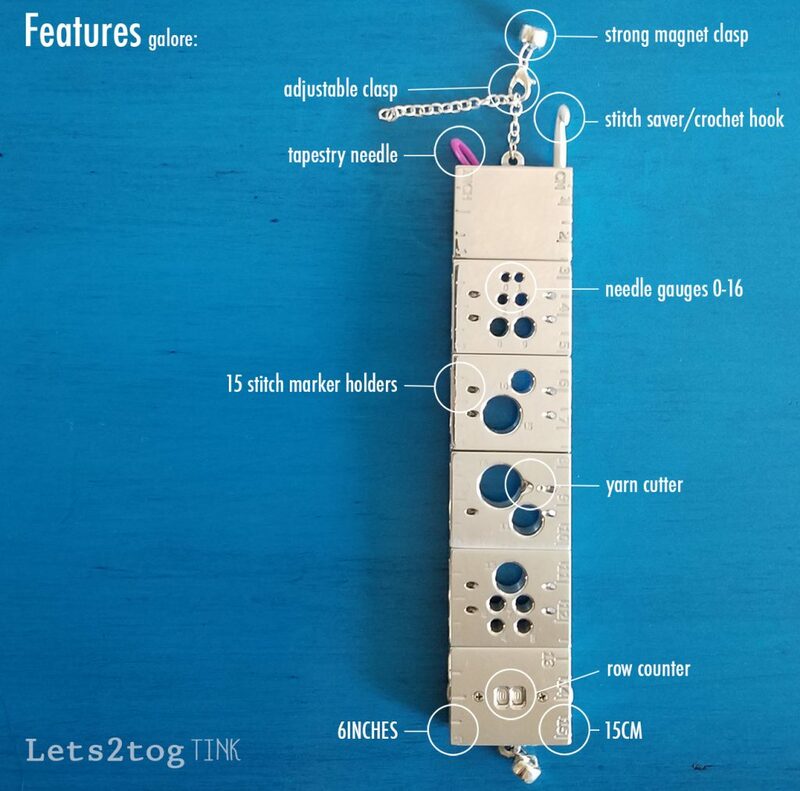 The Lets2tog TINK is a travel safe knitting notions/tools bracelet. Where’s your tape measure, needle gauge, yarn cutter, counter, stitch saver, tapestry needle and stitch markers? It’s right on your wrist! An adjustable lobster claw with a strong magnetic closure makes it a snap to pop on and off. Support the kickstarter! Previous Previous post: Advances in tapestry needles!